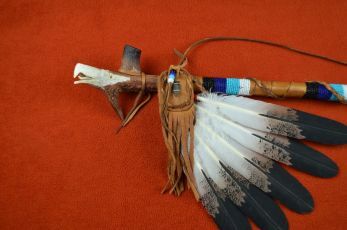 He often has a medicine pouch or Leather wrapped wheel as additional trim. 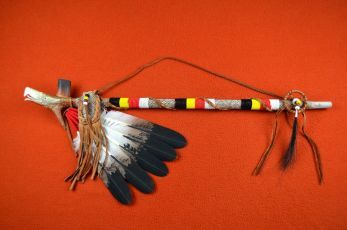 The beads on this pipe are Red, Yellow, orange, Black, and White. 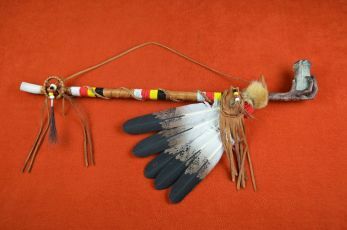 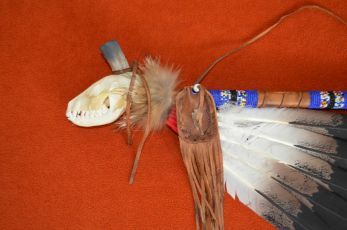 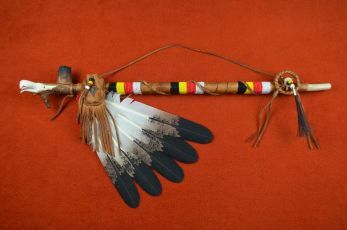 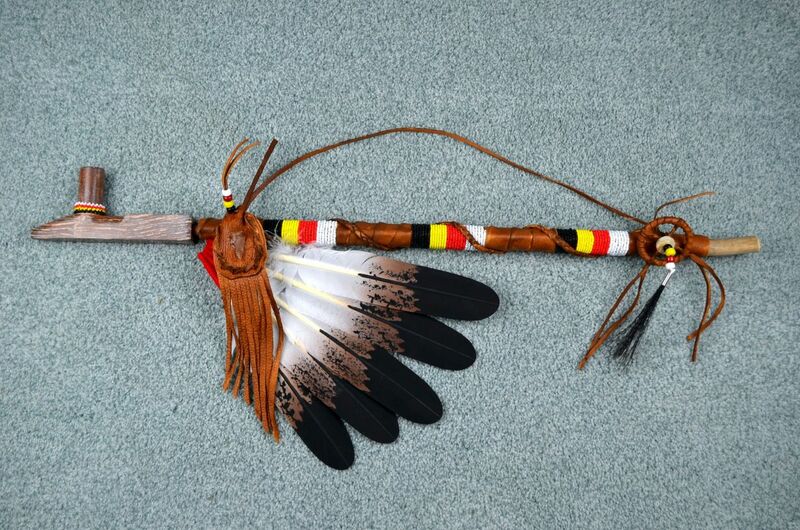 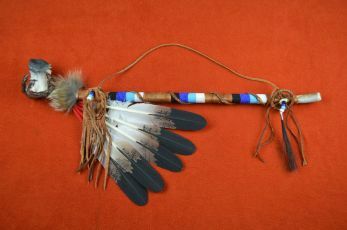 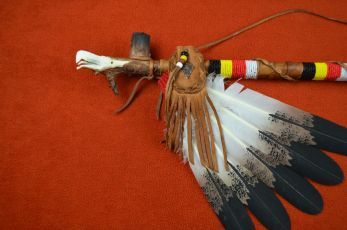 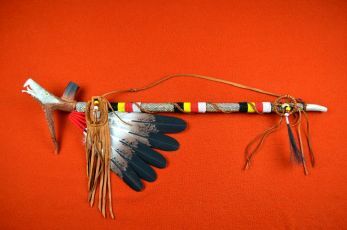 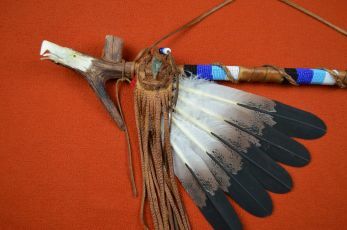 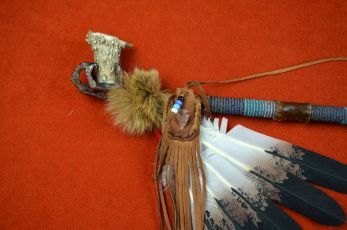 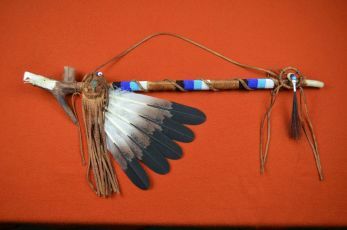 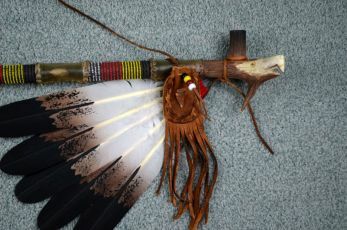 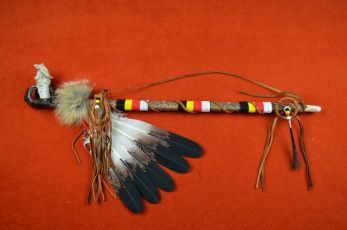 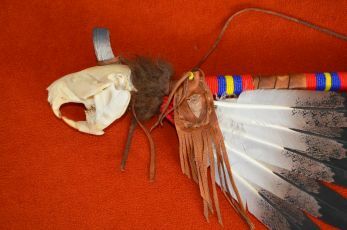 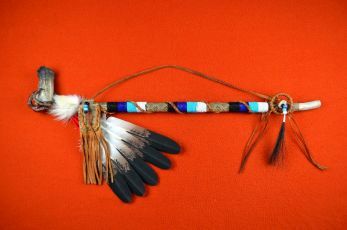 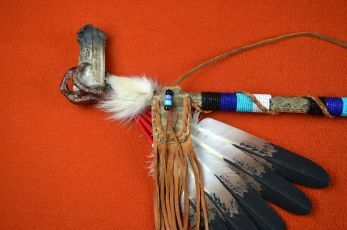 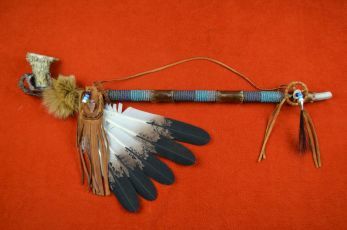 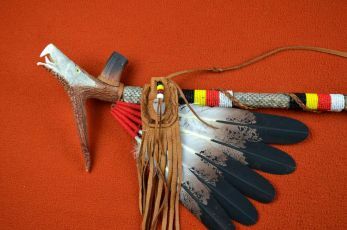 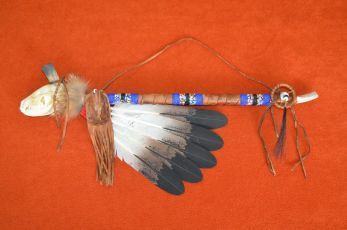 a Antler mouthpiece and Lavern's Trademark painted feathers! 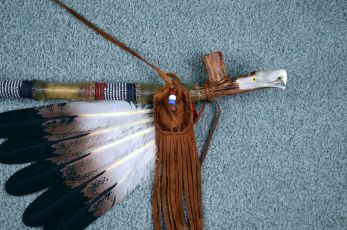 The beads on this pipe are Red White and Blue. 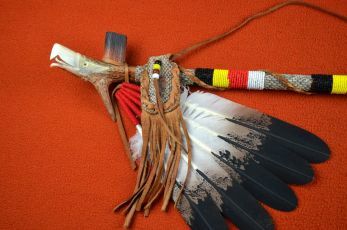 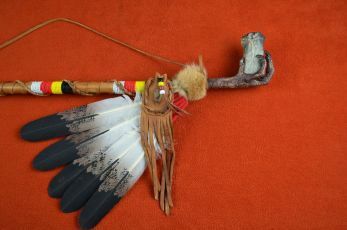 This pipe features a real large bird foot holding a functional elk antler bowl. 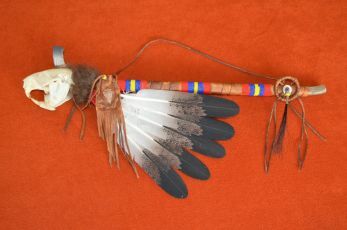 The beads on this pipe are Red, Yellow, Black, and White. 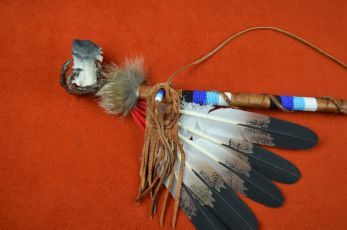 an Antler mouthpiece and Lavern's Trademark painted feathers! 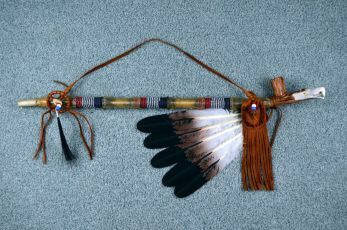 The beads on this pipe are Black, Blue, Blue and White. 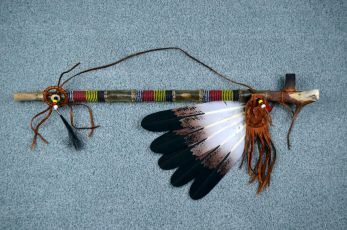 This pipe is 27 Inches long! 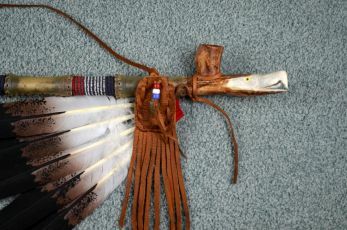 This pipe is -26 Inches long! 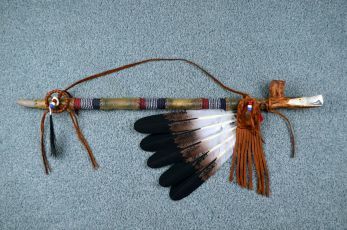 The beads on this pipe are Black blue, and multicolored. 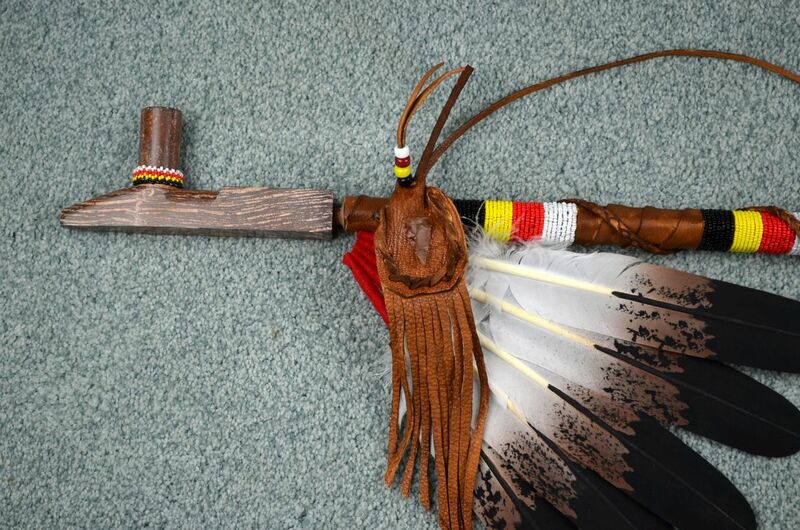 The beads on this pipe are Red, Blue, and Yellow. 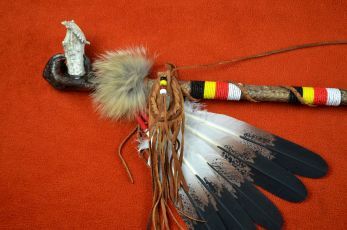 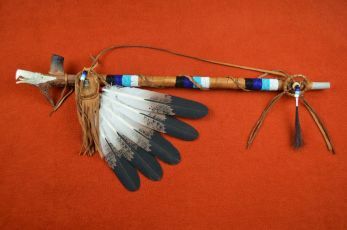 2 piece Soapstone Peace pipe! 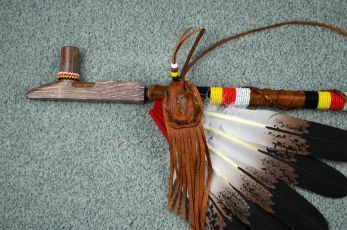 This pipe is 28 Inches long!